Other Information: The Chuck's economy is a gold standard economy with different denomination gold standards. Last edited by The Chuck on Thu Apr 18, 2019 7:55 pm, edited 3 times in total. Did It Replace An Older Currency? If So, What Currency Did It Replace? : It did not replace an older currency but it was simply renamed. Last edited by The Vexian Union on Sun Dec 09, 2018 11:06 am, edited 1 time in total. Bulgar Rouge wrote: "Currency - something that all nations, regardless of type of government or ideology, have and use"
Wrong. We don't have a currency. Please do not post in this thread if you are not contributing information to the database. A Class 1.33 Civilization according to this index. Full Name of Nation: The Constitutional Monarchy of Marcianus. 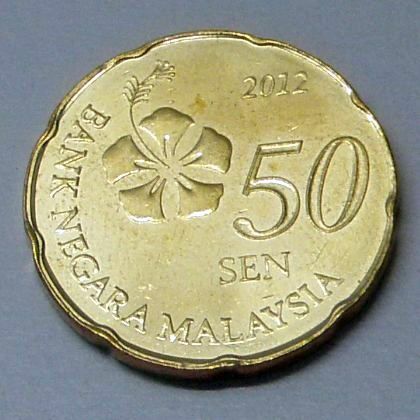 Official Name of Currency: The Esen. Currency Symbol/Abbreviation: Abbreviation: TME. Symbol: ÿ. Did It Replace An Older Currency? If So, What Currency Did It Replace? : None. Subunits of Currency: Marcianus doesn't use coins, only banknotes. 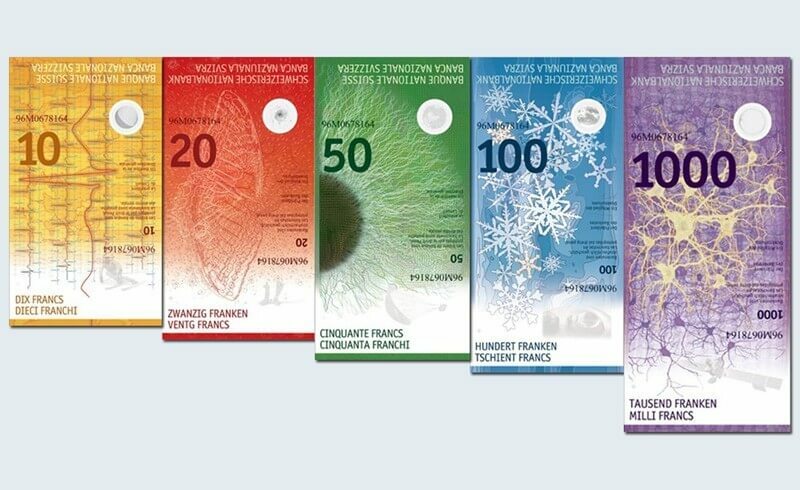 Current Denominations of Currency (Banknotes): ÿ1 ÿ5 ÿ10 ÿ15 ÿ20 ÿ25 ÿ30 ÿ35 ÿ40 ÿ45 ÿ50 ÿ55 ÿ60 ÿ65 ÿ70 ÿ75 ÿ80 ÿ85 ÿ90 ÿ95 ÿ100. Last edited by Marcianus on Thu Nov 29, 2018 7:32 pm, edited 1 time in total. Last edited by Appalachia on Fri Nov 30, 2018 6:29 am, edited 1 time in total. Current Exchange Rate with USD/NSD: ₳1 = $1.95, 1₳ = ??? (NSD). Last edited by Altaira Prime on Fri Nov 30, 2018 10:38 am, edited 1 time in total. Did It Replace An Older Currency? If So, What Currency Did It Replace? : Yes; the Qersi kora, the Kotenian vethina and a few others. Subunits of Currency: No subunits, coins of value less than 1 k. are denominated in fractions of kora. Current Denominations of Currency (Coins): 1/16 k., 1/8 k., ¼ k., ½ k., 1 k., 2½ k.
Current Denominations of Currency (Banknotes): 2 k. (rare), 5 k., 10 k., 20 k., 50 k., 100 k., 200 k.
Former Denominations of Currency (Coins): 1/64 k., 2 k., 5 k., 10 k., 16 k.
Former Denominations of Currency (Banknotes): ¼ k., ½ k., 1 k.
Images of Currency: Not available. Current Exchange Rate with USD/NSD: 1 NSD = 8.12 k.
Other Information: The 1/16 k. coin is colloquially referred to as vete nesiri in Qersole or sheka nosres in Kotenian, literally meaning "four nesira" after the former 1/64 k. coin, called a nesira, which was a de facto subunit of the kora. Similarly, the 1/8 k. coin is called khane nesiri or belka nosres, meaning "eight nesira". The 2½ kora coin is a result of the integration of the Kotenian vethina with the Qersi kora in 1768; the former was pegged at 1 vethina = 2½ kora since the accession of the Kotenian kingdom to Merni, and a successor coin to the vethina was required. The 2 k. note is only printed by the Southwestern National Bank, one of the three banks authorised to print notes in Merni, and not by the other two, due to public preference for the 2½ k. coin. - The smallest exchange possible is 0.0001 Credits. - Physical currency is often unused due to most transactions typically being done digitally in the interest of convenience and efficiency. - Often in place of wallets filled with physical currency notes (which are typically seen as a safeguard seldom used), people often carry "bluesticks" which are 20.32cm long devices shaped like a squircular prism with blue LEDs that display the amount of currency available in binary code. - The system of Credits is primarily maintained by people performing beneficial community-focused work, such as working in a public garden. As a result, one of the most common repayment of expenses if even only to the self is to assist in the replenishing of a specific resource they have used. This is known as the "Root Beer Method". - The 1,000,000 Credit note literally only exists for the purpose of catching counterfeiters. As nobody in New Periapsis sees any reason to need 1,000,000 credits for personal affairs, it is most likely that someone attempting to exchange this physical note at a requisition office is committing fraud. Last edited by New Periapsis on Mon Dec 10, 2018 11:08 am, edited 1 time in total. Last edited by Federation-of Malaysia on Fri Dec 07, 2018 2:18 am, edited 1 time in total. HIDUP PAKATAN HARAPAN!!! HIDUP TUN M!!!!!!! The coins show the denomination on observe and the royal coat of arms on reverse. Libereco kaj Paco doesnt use an internal currency for daily life because it is anarchist. However for international trade (both on national and household levels) LkP uses USD and the cryptocurrency Monero (XMR). 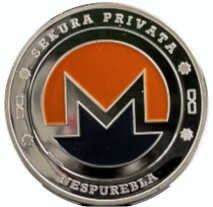 For international purposes, Monero can be considered as the currency of LkP. 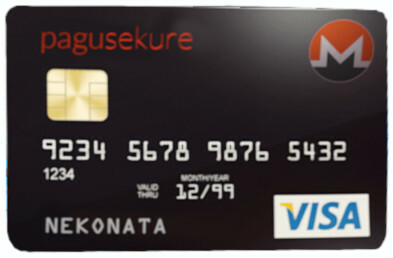 3) Monero debit card for online purchases and travel. The card issuer is "Pagu Sekure" which means "pay safely". The name on card is "nekonata" which is Esperanto for unknown/anonymous. Although you can get LkP passport with any desired name regardless of residency or whether previous identity documents exist, all services in LkP are anonymous or pseudonymous and KYC doesnt exist. 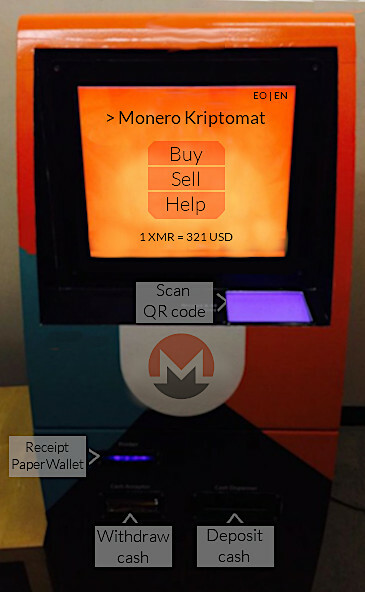 4) Monero ATM (in Esperanto: Monera Kriptomat'). Again this doesnt require KYC. 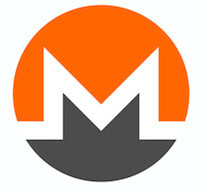 Residents and tourists can buy monero with USD (they receive a paper wallet with the desired amount of monero that they can sweep into their wallet) or sell monero for USD (either send XMR via phone or laptop to displayed address, or scan QR code of private key to exchange the full amount). Because crypto ATMs are popular with tourists, they are localized in multiple languages, you can see the ATM in English here. This ATM doesnt take fees. Last edited by Libereco kaj Paco on Mon Dec 10, 2018 8:26 pm, edited 2 times in total. The notes length get longer as the denomination gets higher, to easily identify the denomination on the bill. Forum posts does not equal endorsements or otherwise. Last edited by Tiroladinien and the Litorale on Wed Dec 12, 2018 2:14 pm, edited 1 time in total. Last edited by Eiran on Mon Feb 11, 2019 4:53 pm, edited 7 times in total. A 1.5 civilization, according to this index located here. "For sovereignty is wisdom, against sovereignty is of a fool." Join [region]Nitrepza/region]- Free pollman position! Unpassworded! Currency Symbol/Abbreviation: ₼ / Aτ. / DAT. / τc. Denom: sð., τm., τб., pб., τol., péç., бéç. Last edited by Upper Alterac on Wed Dec 12, 2018 6:16 pm, edited 1 time in total. Last edited by Tankium on Thu Dec 13, 2018 11:15 am, edited 1 time in total. Gloria Imperii Tankium! Et Gloria Imperator Bartosz V!